This is a universal adult sport model with high-end features and styling at a sport-level price, which has an In-Mould hardbody, giving added strength and protection for no extra weight penalty. It meets CE EN1078 certification. It has 20 cooling vents, with additional rear vent to assist ventilation, Acu-Dial fit system for one handed micro adjustment whilst riding. 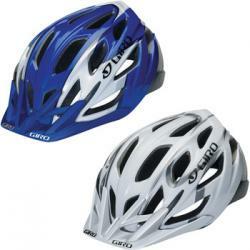 It also has a snap-fit visor and comes in a variety of colours and universal shell sizes to fit 54 - 61 cm head sizes.